Rumors: Manchester United endeavor to bring Donnarumma to Old Trafford and also contact with the agent of Antoine Griezmann – Manchester United reportedly has contacted the agent of Mino Raiola that relevancy with the young goalkeeper of AC Milan, Gianluigi Donnarumma. The news was reported by the Italian newspaper, Calcio Mercato. The young man who was 16 years old was playing his debut in Serie A against Sassuolo, Sunday (25/10). In addition to being the youngest player yesterday, his debut with the Rossoneri is also fairly successful in delivering the Milan victory. The good ability of this player is the reason why the Red Devils want the services of the goalkeeper. 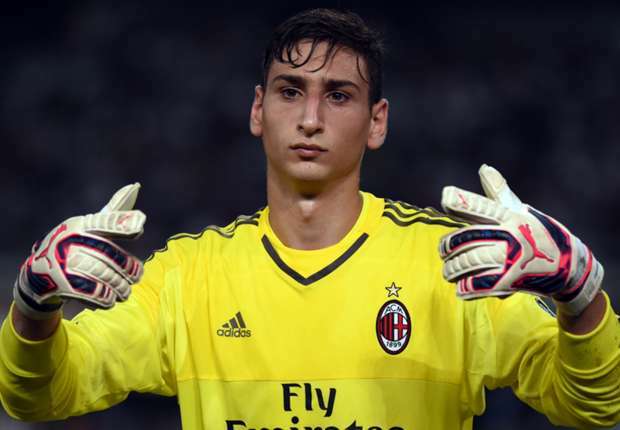 The way for Manchester United to get the signature Donnarumma is quite open widely. The good relations between Louis van Gaal and Raiola could allegedly make Donnarumma switch attention to Old Trafford next season. Meanwhile, Manchester United are also said to have contacted the agent of Antoine Griezmann, in the middle of their plans to buy this player, according to news circulating in Spain lately. The Red Devils is very eager to get the 24-year-old star of Atletico Madrid, and they are already in contact with the relevant parties on this plan. Griezmann is claimed is ready to move the club and was dreaming to play in the English Premier League (EPL) with a team with a long history and a great reputation. Chelsea reportedly also had time to meet the player's agent to persuade the former of Real Sociedad player to come to Stamford Bridge. Fichajes then claimed that the future of the star there will be in the English Premier League.